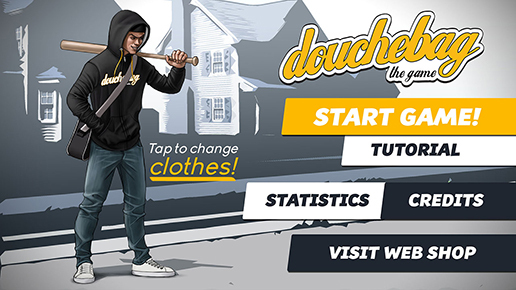 Douchebag of Sweden is a Swedish life style brand with a focus on clothes and bags. Today we store a couple of bags and a large number of clothes, for instance our insanly good looking hoodies and t-shirts. … and hats and everthing else! Browse through our webshop where you’ll find all currently available products. Suppliers and partners, from all over the globe are chosen with care. The complete supply chain must be kept intact and fair. Therefore we make sure that there are no poor working conditions, environmentally unfriendly dyes part of the process. And of course, the products must be subject to heavy duty usage. At the bottom of this page you’ll find all the labels of certification our products have reached … so far. We constantly strive to check more of the list to attach our brand. Do you feel our products are similar to others. You’re right! We are not trying to invent the wheel. We just want to make our own versions and models of products that people already like. Who will be able to wear our products? Anyone! There is nothing to suggest that a person wearing our clothes/bags is our should be a douchbag (whatever you might read into that word). We’ve created a brand with good looking, high quality products that anyone will feel comfortable with. Our clothes look good and are of great quality. Click “Products” in the menu above to display all products on one page. Our products are sorted by size first since not all colors/models are available in all sizes. To avoid dissapointment, choose your size first and then see what alternatives are available in your size. It’s better if you can avoid returning items, right? That’s why amost all of our products comes with a size guide. This makes it easy for you to find the right size to begin with. We are always working on finding new products. If you subscribe to our newsletter you’ll get first hand information about coming products, offers and will have a chance to impact things that are on the drawing board. You can find the subscribtion form at the bottom of this page. Our bags are an excellent choice if you’re looking for a bag for school or the gym but they work just as well if you need a bag for work or travel. It even works as a diaper bag. The large compartment of The Bag can store a 15″ laptop. The smaller compartments holds your mobile phone and has two cup holders. Perhaps a a set of diapers, wash cloths, the baby bottle etc. The Other Bag has a large compartment (fits basically anything and everything) and a small compartment (keys, mobile). The shoulder straps are ajustable. The Bag and The Other bag are made out of “Polyester 600D” which can take some rough treatment. A dedicated group of Douchbag fans have tested and given their feedback before we’ve chosen the models and colours that are now avaialable. One of our items carry a tag that says “Ethically made”. Which is true – and we are truly happy about that. The goal is to be able to provide more clothes with those tags. Other clothes cary a OEKO-TEX tag (read more here) and another one has a “Wrap”-tag. Information on which clothes have what tags can be found on each product page. The word douchbag is most commonly used with part humor part seriousness and referres to a person that, at least at that time, acts arrogantly, obnoxioussly, or despicably. A douche basically. This could refer to someone stealing newly baked cookies (most likely delischous) from their best friends. Or borrowing someones wife/husband. Or acting badly at a restaurant. Or … just smearing bechamel on a, otherwise clean and classy suit. In our case it’s not precisely obvious who is the douchebag. The one wearing the clothes/bag or the one reading the name. Or perhaps it’s just av very cool brand! To wear a Douchbag of Sweden product might generate comments or questions with the attempt to make fun of the wearers expense. 4. Get your own maybe? 5. You want the address to the web shop? If you should be unfortunate and spill coffee, wine, yoghurt or something else that might leave ugly stains on your Douchwear, we are out of suggestions. Well … buy another bag! You could try another color. 1. Talk to your neighbor and assert the dogs guilt. It might be a good idea to have more than one bag and hoodie. Depending on how you feel that day or where you’ll be, different colors and models will be in handy.